Here at Technology Bloggers we are all great fans of renewable energy developments, so I was extremely interested in a project that has just received funding on the Northern Irish coast. As we all know there are problems with wind and tidal electricity generation, not least due to the weather, lack of wind, sun and sea swell being the obvious thoughts. But developers have an interesting proposal that may work towards alleviating some of these problems. 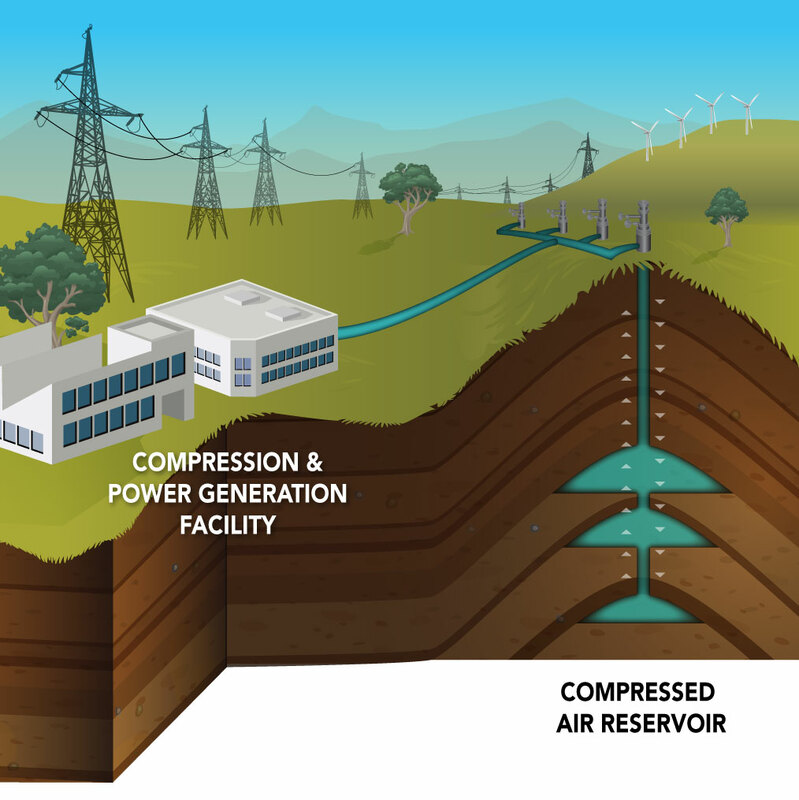 The idea is to use excess power to compress air and store it in huge caverns underground, to then use it to drive turbines when the wind drops. Sounds like a great idea, but of course there are always pros and contras for these things. The caverns have to be mined, about 1.5 km below ground, and this will be done using a salt water erosion process. Simply put, a bore is drilled down, water pumped in that will circulate as if in a bottle, erode the surrounding rock salt and be washed out of a drain hole into the sea. The salt solution that comes out with then disperse into the wider sea. When the cavern is ready, wind turbines will be used to force air into them, which can then be released in a controlled manner to turn turbines on days when you couldn’t dry a handkerchief in the back garden. So it sounds great, but there are of course those who argue that it is not a good idea. What will the impact be of pumping all of this salt solution into the sea? I think everyone concerned realizes that it will kill wildlife over an area, but how big that area might be, how long it will take to recover and how much damage it will do seems to be under debate. Some locals suggest that it might lead to an industrial wasteland. More is explained on this BBC report. Once again a new and possibly extremely positive power development brings the many complexities surrounding renewable energy sources. Issues of responsibility loom large, as do issues of public engagement and risk.